Preprinted Inventory Tags enable you to keep accurate control of inventory receiving, stocking and repair. These two- and three-part Carbon-less Tags also have a reinforced hole that keeps the Tag in place. Inventory Tags & Equipment Tags are made from Plastic, Vinyl and Paper. If you will be affixing the tags to equipment that may get dirty or will come in contact w/ moisture, go for the plastic or vinyl. Paper is good for drier areas. 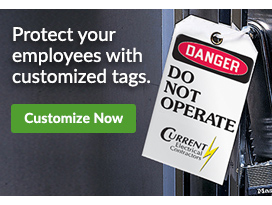 Seton carries Inventory Tags and Equipment Tags in a variety of colors, so that if you would like to color code your equipment you have that option.